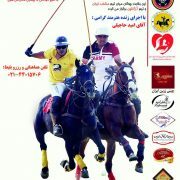 Iran and Argentina’s polo teams are going to compete on a friendly game on September 30, 2016, for the very first time. Argentina leads the way in polo and is regarded as the best in the world so Iran considers this occasion a great opportunity to evaluate its strengths and weaknesses. All the benefits of this event will be donated to Sharayan charity. Sharayan charity is an organization for children born with or has developed cardiovascular and respiratory diseases. Sharayan brings together the best doctors and surgeons from around the world with the most modernized infrastructure, facilities, and services to provide a good quality life to the children in need for help. Iran Doostan Tours Company has been honored to be one of the sponsors of Sharayan charity to contribute in this great act of humanity. This friendly match will take place in Tehran on Friday morning followed by a live music concert as well. Matinabad eco-camp celebrated the anniversary of Islamic Revolution on Thursday February 11. 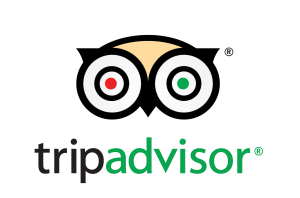 Every year we have a special ceremony for this day to make this holiday more memorable for our dear guests. 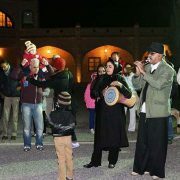 On Thursday night everyone in the eco-camp enjoyed a live traditional music in the teahouse followed by fireworks and the beautiful sound of Sorna (traditional Iranian horn) and Tonbak played by locals in the courtyard. And then we had gathering by the fire, observed the night sky with the telescope, and ended the night with the delicious meal at the restaurant of eco-camp. It is our greatest pleasure to take part in celebrations and make Matinabad the destination for such happy events. The modern day heroes are those who save lives and provide hope for the people who have lost motive and inspiration for life. The Sharayan Charity is an organization in Iran with the purpose of helping the kids who suffer from the cardiovascular diseases. This organization is earnest to create a path for the people who want to donate money, knowledge, time, and love for the kids in need. The founders of Sharayan Charity encourage the experts and qualify people to share their time, knowledge, and ability in medical and non-medical fields to save the kids with the cardiac risks and diseases. Creating the proper and necessarily groundwork to operate in different surgeries and finding the cure for the kids up to the age of 18, trying to attract doctors, professors, and experts in pediatric cardiac care to put children in good and safe hands, are among the Sharayan Charity purposes. Sharayan has coupled up with another charity organization in US, Novick Cardiac Alliance, to eliminate the number of kids who are suffering from congenital heart disease in Iran. Novick Cardiac Alliance founded by Dr. Novick, a passionate pediatric cardiac surgeon and a professor of international child health has been implanting hope in people’s hearts in developing world for the last 20 years. He has this beautiful vision “that every child born with heart disease should have access to the care they needed to live a long and healthy life.” Dr. Novick and his teams have worked in 46 cities in 32 countries, providing 7411 children with free operations and medical care. Iranian kids have been fortunate for the second year in a row to receive the sincere care of the experts of Novick Cardiac Alliance. A group composed of a total of 12 doctors, anesthesiologist, OR technician, and a nursing team flew to Tehran on November 7th to save the life of our children. The team operated 36 cardiac surgeries for free and they had a successful operation on a 10-day old infant. Iran Doostan Tours Co. as one of the Sharayan Charity sponsors invited all the team members of Novick Cardiac Alliance for a weekend stay in Matinabad desert eco-camp. Iran Doostan always contributes as much as possible to provide the care needed for the kids of Sharayan Charity. 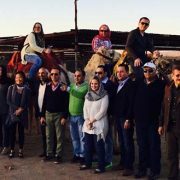 The Novick team stayed in the camp on Friday November 14 for one day and had fun doing activities in the desert such as camel riding. They also enjoyed having a special lunch meal in the restaurant of Matinabad eco-camp. Last week Matinabad desert eco-camp hosted the cast and crew of the “90 degrees” TV program that will be aired on Iran’s Nasim channel. This TV show is designed and made for teenage children and is about doing fun activities in nature such as zip-lining, biking, camel riding, ATV bike riding, and etc. 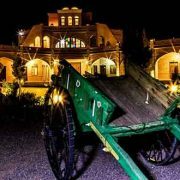 The show producer, Gholamreza Bakhtiari and the crew stayed in the camp for three days to prepare some episodes of the show. It is an absolute honor for Matinabad camp to be a part of this adventure and gaiety program for our beloved young generation.